(P1) The world seems DREARY, GLOOMY, and gray when you’re FEELING BLUE. 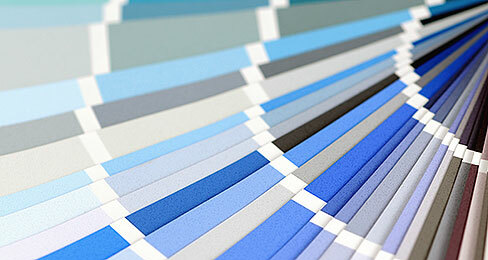 In fact, being DOWN IN THE DUMPS might even affect how you perceive the color blue. A recent study about color was published in the journal Psychological Science. It shows a direct connection between a person’s ability to perceive color and their emotions. (P2) Psychologists have long known that emotions can impact the way people perceive things. That’s in part because chemicals from your brain might affect how you process what you see. “Color is such an important part of our experience,” says lead author Christopher Thorstenson, a psychologist at the University of Rochester, in New York. (P4) In the experiment, the researchers randomly assigned people to one of two groups. People in the “sadness” group watched a sad scene from The Lion King. Those in the “AMUSEMENT” group watched a comedy SKIT. Another part of the study had people watch a NEUTRAL desktop screensaver. (P5) Everyone was then asked to look at red, yellow, green, and blue patches that had been MUTED to a gray-ish color. “Some of the patches are pretty difficult [to make out],” Thorstenson admits. He says it takes some time to figure out their SHADE. People were scored on how accurate their color perception was. Then they completed an emotional EVALUATION. (P6) The result? Sad people had a hard time seeing the difference between shades along the blue-yellow color AXIS. But people who were sad did not have problems seeing colors in the red-green SPECTRUM. Thorstenson says this could be the result of an evolutionary need to see red as an anger response. (P7) Thorstenson says these results HIGHLIGHT the possible importance of dopamine in sight. Dopamine is a chemical that sends signals to the brain. Researchers are hoping to focus more on dopamine in the future. “We know dopamine is important in MOOD DISORDERS like depression and ADHD, but there might be something going on with how dopamine affects how we see colors, too,” Thorstenson says. “How we feel can really influence how we see the world around us,” he says. “Feeling blue” is a phrase for DEPRESSION. What emotions do you associate with colors? What is your favorite color? Do you like to dress in that color or design your home with it? COLOR BLINDNESS usually means the INABILITY to DISTINGUISH between certain colors (rather than not seeing color at all). Do you have any color blindness? If you are feeling low, how do you improve your mood?